The FBI is releasing information on Hillary Clinton’s email investigation in a strange pattern and no criminal charges have been brought against her, which makes many feel the FBI is being political, former FBI agent James Conway told RT. RT: The FBI acknowledged that Clinton sent classified information using her private email account as Secretary of State, and yet no criminal charges. Why is that? Is Hillary Clinton above the law? — RT (@RT_com) 8 сентября 2016 г. But this is a political football in the US and it has become something that has created a huge divide on both sides of the political equation, but also within the FBI. I can tell you that there are many people, who support the director and say that there was no intent on her part, and for that reason an indictment would have been very difficult to get a conviction on in a court of law. There are others who have said if you look at the totality of her activity, the obvious possible destruction of evidence, obstruction of justice, destroying Blackberries only turning over those e-mails that she felt were business and she made that decision having her own personal server, which to me is something that is really surreal. Having been an agent of the FBI, and having worked overseas and handled classified material for many, many years, having her own server is just to me ludicrous. I don’t know what she was thinking when she took office. Did she think she was never going to receive any classified information? RT: Could there be any political motivation in the way the FBI has handled this? JC: … It is the first time in the history of the FBI that there are those within the FBI and those in the retired circles of the FBI that feel … that we have appeared to be political. Myself personally and many of my colleagues believe that it would have been wonderful if the director had stated the facts of the investigation, stated the findings, and then merely stepped back and said: “We have now referred it to this matter to the Department of Justice for a prosecutorial decision without having made a recommendation.” I think that recommendation right or wrong, and I don’t want to criticize director [James] Comey…but making that recommendation created the perception in the US, and created the perception among many within the FBI – both retired and still in service – that a perception that we were appearing to be political. — RT America (@RT_America) 7 сентября 2016 г. 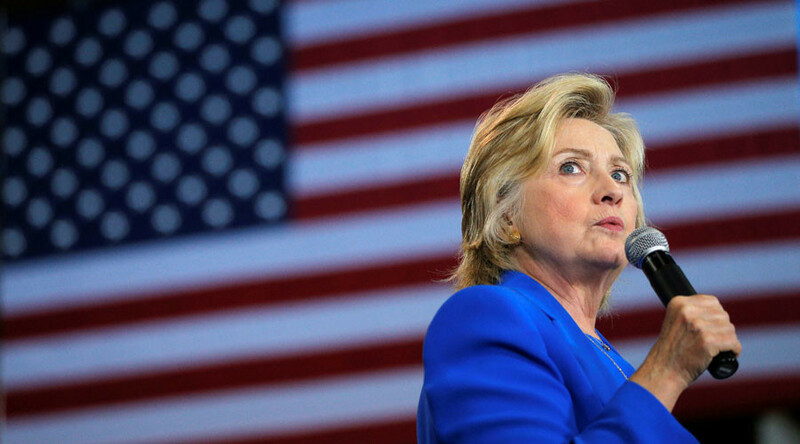 Former US diplomat Jim Jatras said that if Donald Trump becomes the next American President there is a possibility Hillary Clinton will be held accountable for her controversial use of a private email server while Secretary of State. However, if the Democratic Party candidate wins, she is likely to avoid the charges, he added. RT: Why do you think, even after the FBI acknowledged that Clinton sent classified information using her private email account as Secretary of State there are still no criminal charges against her? Jim Jatras: It is unclear why the FBI is releasing information in this very strange pattern, especially releasing at times, for example, just before the holiday weekend, when very few people would see it. What we do know is this: Secretary Clinton has engaged in behavior that is criminal, that anybody else would be going to jail for, and she’s been lying about it. We also know that for whatever reason the FBI is going out of its way to avoid reaching that conclusion – that they for some reason, whether it is politically motivated, or whether FBI Director Comey simply does not want to decide the election on the basis of a law enforcement decision, is not going to proceed with what the law should require. RT: Do you expect Hillary Clinton will ever be charged over the email scandal? JJ: I think it is very unlikely, but I would raise the following possibility. What if she loses? What if Trump becomes president? Is it possible that a future administration would say: “We need to reopen this case. Let’s take a look at this without a political thumb on the scale.” Obviously people then would accuse them of politically going after Mrs. Clinton. But I think you can make a strong argument to the contrary – that if in the absence of political protection, which she has now, the facts and the law are simply looked at – maybe she should be held accountable next year. But of course, if she wins, she’ll get away with it.